So excited to be here and using my name "lamina godman" as my new brand for my small textiles screen printing business. It has taken a few months to get organised and it was hard work but so glad it has finally happened. Hooray! 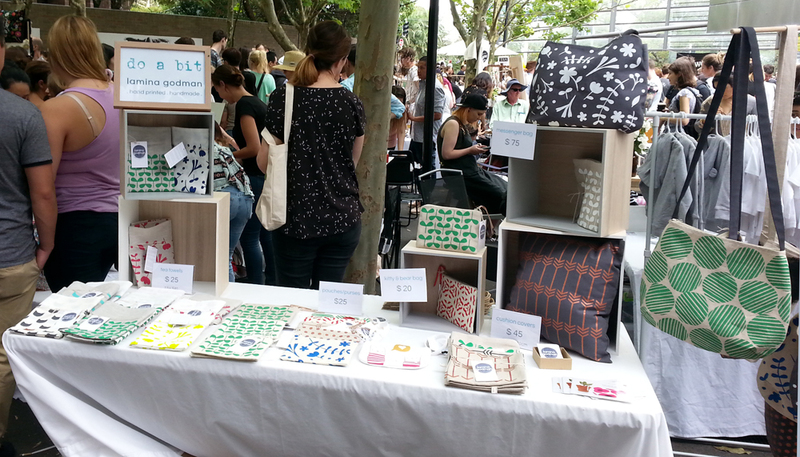 I had an amazing day on Saturday, having a stall, at the Sydney Made Etsy Christmas Market at the Seymour Centre in Chippendale Sydney. I was so crazy busy I barely had time to take a few photos of my stall... but I did manage to get a few in between being bombarded! I loved every minute it! There were so many lovely people with such complimentary things to say about my screen printing work. It made my day that everyone loved what they purchased! I am obsessed with process and love to explore and experiment with a variety of materials.